Fiennes, in his directorial debut, also stars as Caius Martius, a brilliant Roman General fighting a war against the Volsci; he has no tolerance for the common people of his country, and as they riot over food shortages, he decries them as unworthy, for they do not fight for their country as he does. 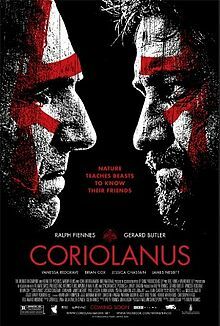 In battle, Caius meets his key Volscian enemy, Tullus Aufidius (Gerard Butler), in one-on-one combat, and though he fails to kill Aufidius, Caius is declared a war hero and granted the surname “Coriolanus.” His mother (Vanessa Redgrave) convinces him to run for consul; Coriolanus is hesitant, but he quickly wins the support of the Roman Senate; the people of Rome are not so kind. Caius’ brutal, uncaring nature angers them, and they call for his banishment, leading Coriolanus to abandon his people and side with Aufidius. The appeal of bringing the story into 2012 is clear. As a meditation on the power and role of leaders, it feels timely in our contentious political landscape. 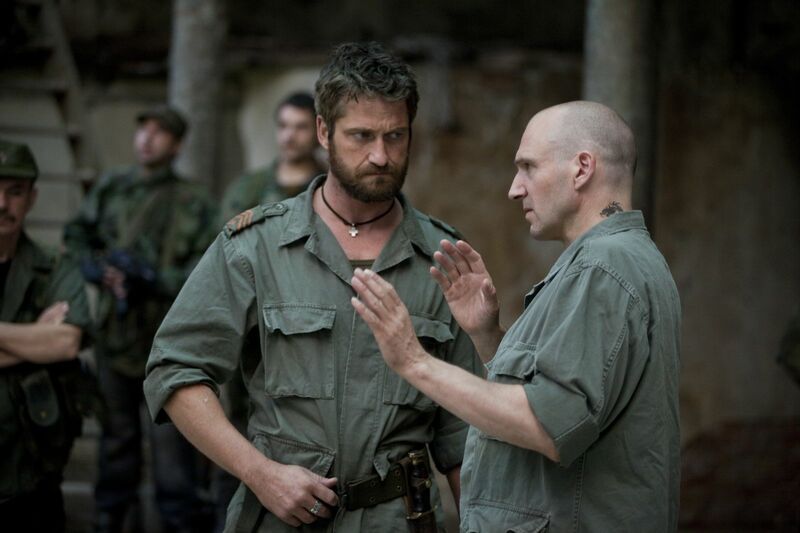 Fiennes’ modernization techniques are effective, broadening the scope of the narrative, brutally depicting battle scenes, and creating a gritty, immediate atmosphere that wouldn’t exist in the story’s historical period. Yet Fiennes is constantly held back by the dialogue, which clashes with the setting on a purely logical level. Rather than finding modern equivalents for many of the scenarios, screenwriter John Logan leaves Shakespeare’s dialogue as is, so we get odd scenes like protestors storming a grain factory asking for bread, something that doesn’t come across as realistic in modern developed countries. Politics work very differently than they actually would in 2012, leading to distractingly odd scenes like the public banishing of Coriolanus at a talk show. Then there’s the simple fact that it is distracting to hear this dialogue coming out of modern characters; the mise-en-scene suggests a modern speech, pacing, and performance style, so when the actors begin speaking in high, flowery English, a gaping chasm is created between what we hear and what we see, furthering the audience’s disconnect from the film. 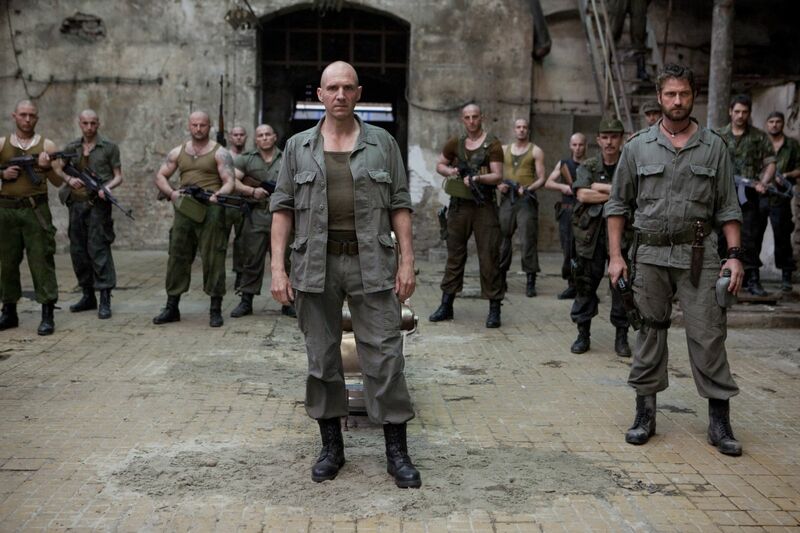 It’s unfortunate because directorially, “Coriolanus” is awe-inspiring. Despite having all the original dialogue in tact, not a single scene feels restricted to the stage. It is expertly shot and moves at a cinematic pace; whereas most Shakespeare films feel like stiff theatrical presentations, “Coriolanus” is a movie, and that’s a tremendous achievement. It’s very impressive to see Fiennes stage big action set pieces in the first act, material that would never have been seen at the Globe, but I’m even more amazed at the filmic nature Fiennes lends all the monologues, soliloquies, and extended exchanges. This come at a price, though; Fiennes may be able to effectively fit in and deliver all the Shakespearean dialogue, but to do so, it must be delivered frantically, passionately, and quickly. The acting is terrific across the board, but the delivery lacks clarity. The speech simply moves by too fast and too intensely to absorb and process the meaning of the words. As such, it is impossible to become engaged in the narrative or the characters. Few people are aware that even in Shakespeare’s day his writing was considered complex; audiences of the time also had to pay close attention. Today, four-hundred years removed from much of this vocabulary, clarity is key to understanding the story, unless one has the dialogue and its meaning memorized. That shouldn’t be a prerequisite to enjoying the film. It’s such a shame, because the cast really turns in some excellent work; all of them understand the rhythm and metre of Shakespeare’s prose, delivering it with the authority of true thespians. Fiennes himself is brilliant in the title role, essentially playing a more nuanced version of his iconic Lord Voldemort. Several of his monologues are powerful and engaging, so good that they redeem many of the film’s lesser moments. Gerard Butler’s screen-time is relatively limited, but he is every bit Fiennes’ equal; this is some of the most mature, accomplished work Butler has ever done, and “Coriolanus” fires on all cylinders when Butler and Fiennes share the screen. They play off each other wonderfully, creating compelling, edge-of-your seat tension through simple, heated exchanges. Brian Cox, Vanessa Redgrave, and Jessica Chastain (who seems to be in every other movie I watch this year) all turn in excellent work as well, particularly Redgrave, who carries the weight of the climactic scene on her shoulders. In the end, “Coriolanus,” like most Shakespeare adaptations, suffers from a lack of clear vision. The performances and directing are so strong that a period setting would have suited it just fine; the modernization is a distraction. Or is the modernization the film’s strength, and the use of Shakespearean English the real flaw? In any case, Fiennes and Logan, like most English-speakers, love the bard too much to do him any real justice on screen, and that’s a damn shame, because they come closer than many have before.